Spring is only a week away and good thing, because one taste of these muffins will have you ready for warmer weather. You can never have too many banana recipes on hand, am I right? These muffins are so unique and extremely delicious. The combo of the orange and banana reminds me of a warm Spring or Summer Day. 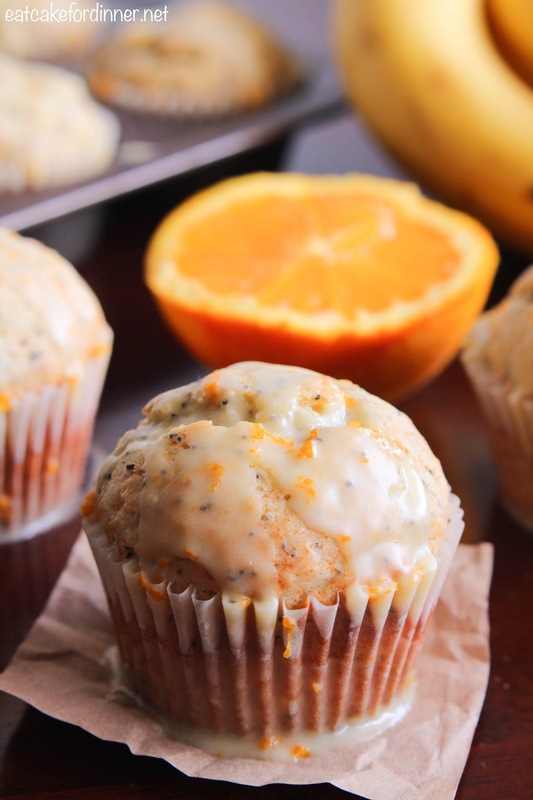 It's like the bright refreshing flavors of a smoothie inside a muffin. Even with a whole cup of mashed bananas, the banana flavor does not overpower these muffins. They are really really delicious and a new favorite. They bake up with a pretty dome on top and are completely impossible to resist, especially with the orange citrus glaze on top. I shared this recipe over at THE RECIPE CRITIC's SITE. Click HERE to see the post. Preheat oven to 375 degrees. Line a 12-cup muffin tin with paper liners and spray with cooking spray; set aside. In a large mixing bowl, combine the flour, poppy seeds, baking powder and salt; set aside. In a separate medium bowl, whisk together the mashed bananas, egg, sugar, oil, orange zest and vanilla. Add the wet ingredients to the dry and stir together until just combined. Fill muffin cups 3/4 full with batter. Bake for 18 minutes or until a toothpick inserted in the center comes out clean. Makes 12 muffins. Cool slightly and drizzle with orange glaze. For the Orange Glaze: Whisk together all ingredients until smooth and creamy. If mixture is too thick, add a little more orange juice. Drizzle over muffins. Love the orange glaze! I wish I had one now to go with my coffee! 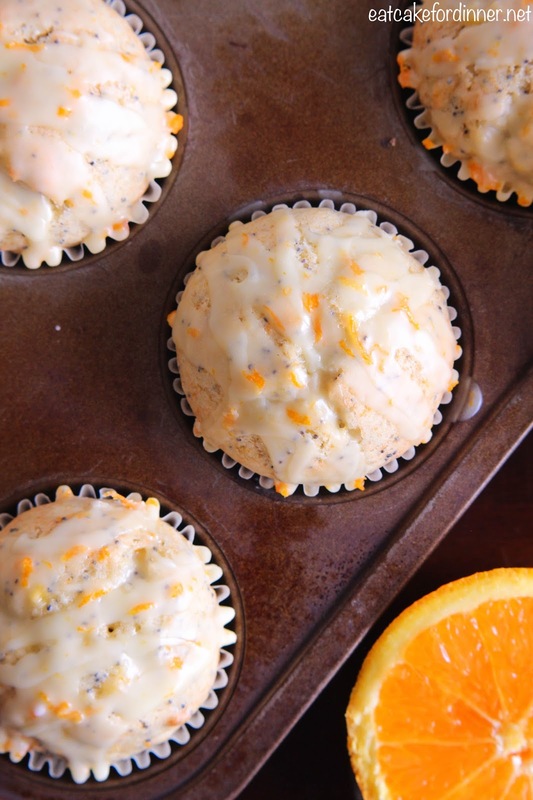 I love citrus so these look divine! 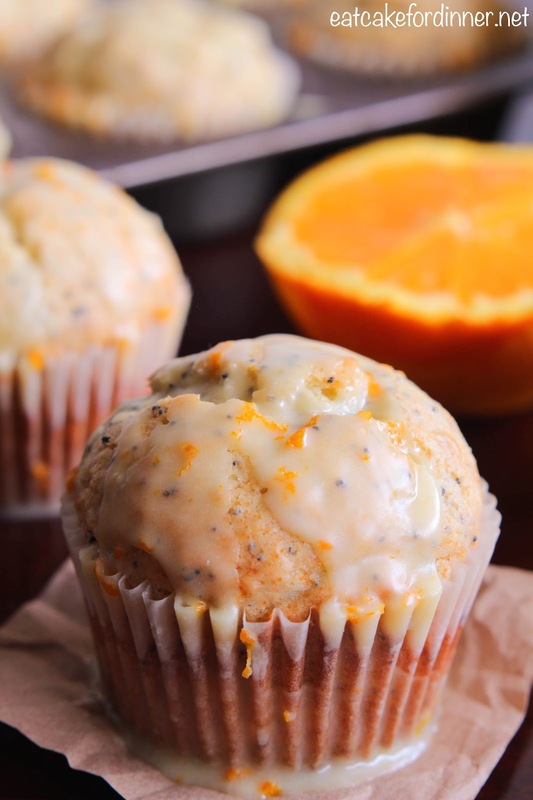 What a perfect warm weather muffin to make on a special morning! These sound wonderful! I could eat one right now!